Our team at Lamm Electric includes experienced commercial electricians who provide various services to customers in Matthews. 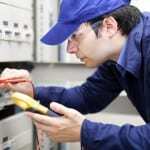 Commercial Electrician in Matthews – A commercial electrician has a number of job duties and differs from a residential electrician in several ways. Those responsibilities include working on commercial buildings to maintain, repair, and install electrical devices and wiring. A commercial electrician also installs conduits, performs tests on the electrical systems and wiring to prevent injury, and runs wiring throughout an entire structure. They may also use building blueprints to determine the best locations for wiring and devices, or plan and create diagrams for electrical systems that will meet building codes. Without proper wiring, the building won’t have a number of systems, including refrigeration, lighting, HVAC, and power through the sockets. Before finishing the job, a commercial electrician should also conduct thorough testing to make sure that every plug and light switch is working. If you have a commercial structure or are in the construction industry, it is important to partner with a trusted commercial electrician who can handle all needs and requests. Our team at Lamm Electric includes experienced commercial electricians who provide all of these services and more to customers in and around Matthews, North Carolina. Leaving the job to an electrician who doesn’t understand the needs of commercial clients can result in a disaster. Instead, trust our team at Lamm Electric. We have more than two decades of experience with commercial electrical work, along with a variety of other services to accommodate all of your electrical needs. 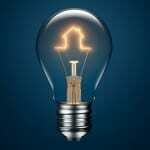 Give us a call today to schedule an electrician to come to your office or job site. At Lamm Electric, our commercial electricians proudly serve Charlotte, Belmont, Huntersville, Indian Trail, Matthews, Mint Hill, Harrisburg, and Mt. Holly, North Carolina.